Un des plus beaux golfs du monde. Garry Player: legende du golf a dessine et construit le golf qu’il a lui meme appale l’un des plus beaux du monde. Bulgaria: Bulfra vous propose d’investir dans l’immobilier de prestige. Blacksearema le premier golf de Bulgarie est en activite: dessine par Garry Player, il est situe a Topola, entre Kavarna et Balchik. Pour infos,livaison,disponobilites et mode de paiement. Voir l’article ci dessous publie par le Financial times. Shiny new golf carts trundle around the nine holes already open at the new Black Sea Rama golf course, which features lush green fairways, reed-fringed water traps and a stunning sea view. The players are mostly expatriates who have driven from Bucharest or Sofia to try out the first of three new courses set to become Bulgaria’s first golf destination. The 18-hole links course was designed by Gary Player – his first completed project in eastern Europe – along with the nearby Thracian Cliffs course. The third, Lighthouse Golf and Spa, was designed by Ian Woosnam. The three developments are situated conveniently close to each other on the northern Black Sea coast of Bulgaria, near resorts like St Constantine and Elena, Golden Sands and Albena. “We tried to intervene with nature as little as possible, and to have only low-density construction around the golf course,” says Kancho Stoychev, managing director at Black Sea Rama. Villas around the course sell for €2,300 ($3,600) to €3,200 ($5,000) per sq m, depending on location. “We have investors from the UK, Russia, Germany, Romania, even Dubai, but we are surprised that half of the buyers so far are Bulgarians,” says Mr Stoychev. Bulgaria already has four golf courses. Another six are under construction and 20 more are at the project development stage. Apart from the northern Black Sea, three other districts, each with at least three courses planned, are likely to become golf destinations. 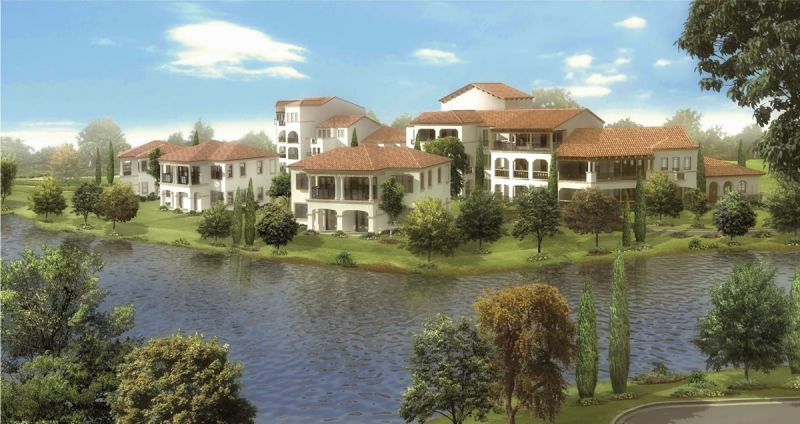 One is near the capital Sofia, which has two existing golf courses and two more planned. Another is Razlog, near the ski resort of Bansko. The third is the southern Black Sea coast, near Pomorie and Primorsko. Krassimir Guergov, president of the Bulgarian Golf Association, is confident that the country will be a high-quality golf destination. He says some of the Black Sea courses will meet PGA standards for international championship play. Bulgaria still has a long way to go to catch up with destinations like the Czech Republic, which is home to about half the 140 golf courses and over 75 per cent of the golfers in eastern Europe, according to a golf benchmarking survey by KPMG, the consultants. According to Mihail Chobanov, executive director of Sofia-based Bulgarian Properties, golf developments have good potential for second-home buyers, but only “if all planned projects are completed to the high standards that they advertise”. Local water resources are abundant, ruling out competition between course developers and farmers, so Black Sea residents are happy to welcome golf tourists. Mr Tsonev has already put Kavarna on the map by staging regular summer rock festivals with gigs by legendary bands like Deep Purple, Uriah Heep, and Manowar. He says he will take Alice Cooper to play golf at Black Sea Rama this summer. According to Gueorgui Tchouklev, executive director at Lighthouse, the three developers are preparing packages for golfers to play all three courses in one visit. “We need each other to become a distinct, high-quality golf destination,” he says. A park course, Lighthouse includes a forest section, which blends a Scottish landscape design with views over the Black Sea. Thracian Cliffs is the most challenging course, built into a steep sandstone cliff-side with several levels and sea views. Josef Halbherr, executive director of Signature Projects, the Thracian Cliffs developer, says the total investment, including the development of villas, luxury branded hotels, a spa using spring water from the site and a marina, will reach around €300m. Yuri Pavlov, manager of Bord, a construction and investment company specialising in residential and spa developments, says golf could help revive Bulgaria’s flagging property market. “If the Black Sea coast becomes a well-known golf destination, investment in real estate there will carry lower risk. More buyers will use their second homes, rather than acquire them for speculation,” he says.